Finding Dory is an absolute joy. It's laugh-out-loud funny, cry-out-loud touching, and the visuals are gasp-out-loud stunning. The new characters are highly memorable and perfectly cast, the old characters retain their charm, and the story takes surprising turns. This is Pixar at its Pixariest. Box-office disaster Alice Through the Looking Glass notwithstanding, Disney has had a remarkable year so far. Zootropolis, The Jungle Book and Captain America: Civil War all opened to exceptional reviews and all three have (or will have) reached a billion dollars in worldwide box-office numbers each. And if early projections hold, it looks like Pixar's Finding Dory will further extend Disney's market dominance. 13 years have passed since the 2003 original, Finding Nemo, allowing Pixar's nostalgia-based sequel marketing to come into play. Even in a year of under-performing sequels, there was never any doubt as to Finding Dory's financial potential. But on the creative front, Pixar fans were understandably worried (with the studio's sequel-heavy release schedule exacerbating the concern). Thus, it is a delight to report that Finding Dory retains the high standards set by the studio since Toy Story debuted over 20 years ago, and will leave parents and their children overjoyed and uplifted. Set one year after the events of Finding Nemo, Dory finds herself sporadically remembering moments from her past. When she recalls her parents, Dory is determined to seek them out using memories triggered from familiarities of her childhood. Marlin and Nemo accompany her, where they are led to the Morro Bay Marine Life Institute. They are then unexpectedly separated, forcing Marlin and Nemo to hunt for Dory, while Dory continues to look for her mother and father. In short, Finding Dory is an absolute joy. It's laugh-out-loud funny, cry-out-loud touching, and the visuals are gasp-out-loud stunning. The new characters are highly memorable and perfectly cast, the old characters retain their charm, and the story takes surprising turns. This is Pixar at its Pixariest, for better or for worse (but mostly better!). Director Andrew Stanton makes many wise decisions in his construction of the sequel. He's careful not to overdo the fanservice, with only a handful of supporting characters from the previous film showing up, and only for a scene or two. Stanton also scales the film back in scope, setting it in a Marine Biology Institute, rather than in the entire ocean. These things keep Finding Dory from feeling like a retread, despite some similar plot points. 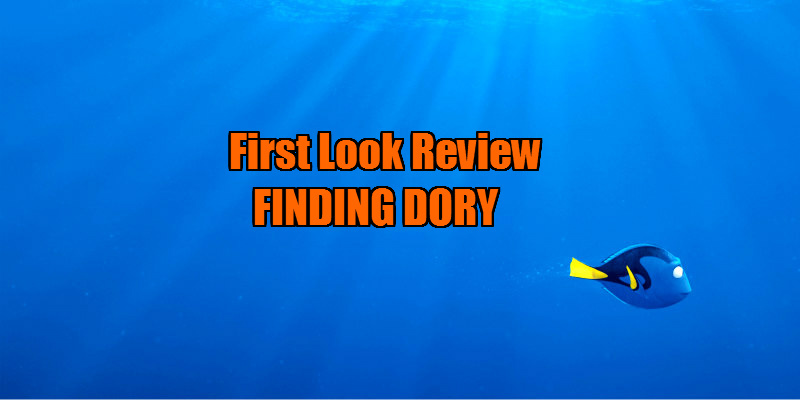 On the contrary, Finding Dory feels very fresh (a relief following the highly derivative Pixar film, The Good Dinosaur). Albert Brooks and Ellen DeGeneres return as Marlin and Dory respectively, and while Brooks' voice has changed somewhat with age, both pick up the characters like no time has passed at all. Nemo is recast, as the original actor, Alexander Gould, has grown too old for the role. He is replaced by Hayden Rolence, who fills in the role seamlessly. Ed O'Neill, Kaitlin Olson, Ty Burrell, Diane Keaton, Eugene Levy and Idris Elba are all perfect as new characters (this marks Elba's third role as an animal in a Disney film this year). Director Andrew Stanton, in addition to reprising the role of Crush for a brief scene, also plays a clam in one of the film's many highlight scenes. Sloane Murray is also impossibly cute as Young Dory, who appears in flash-backs throughout the film. This particular idea could have so easily been cloying, but the actors are too good and the script is too smart for that to happen. 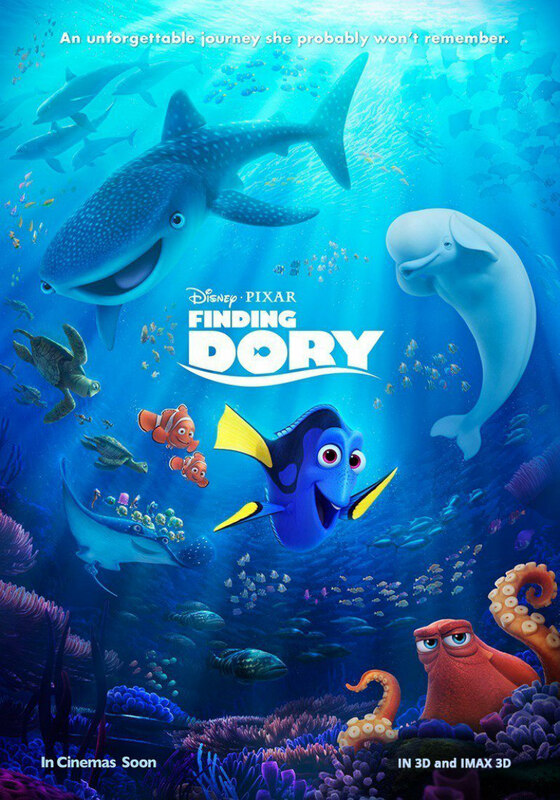 Finding Dory falls a little short when compared to Pixar's masterpieces (Up, Wall-E, The Incredibles, etc. 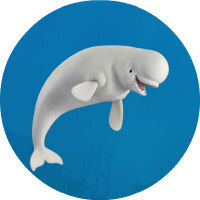 ), but it's a fantastic (fin-tastic?) film in its own right, nearly equaling its classic predecessor. It's also the best Pixar sequel without the words "Toy Story" in its title. And don't be surprised if it ends up being the best Disney-produced animated film of 2016 when the end of the year rolls around (depending on the success of Disney's Moana, opening in November). While the lack of original films in Pixar's production pipeline is something to be disappointed about, Finding Dory is a shining example of the superior sequel. If they can continue to craft their sequels with this same care and creative attention, Pixar's sequel trouble may no longer be considered trouble. Note: There is a scene after the film's credits that is extremely worthwhile, but avoid reading the cast-list if you want to avoid being spoiled. Also, the film is preceded by a short film entitled Piper, directed by Alan Barillaro. It's impossibly adorable and stands tall among the very best of Pixar's shorts, so arrive on time!